Looking to spice up your Thanksgiving cocktail service? Try this. 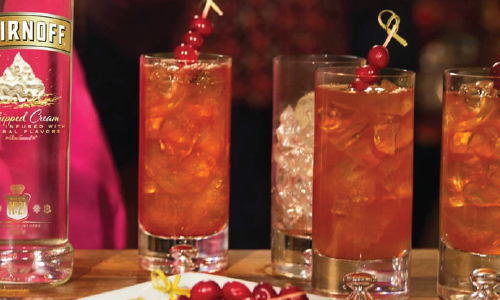 Smirnoff presents a super easy and sweet holiday drink: Apple Pie Punch. Just combine Smirnoff Whipped Cream vodka (yep, this is what you do with that evidently. Because all of us were wondering), plus cranberry juice and apple cider. Serve straight up, over ice OR with some soda water (which is how we’ll take it). Yumzees. Over 21, get more great recipes here.